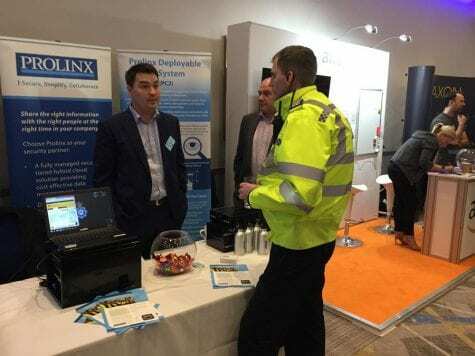 Prolinx recently attended the Police ICT Summit 2018 at Hinckley, Leicestershire, demonstrating our policing capabilities on a Stand in the Suppliers Exhibition Hall and also sponsoring the drinks reception. The focus for the 2018 Summit was about demonstrating progress in delivering ICT reform across policing and its law enforcement partners, in line with the Policing Vision 2025. The Summit looked to the future and demonstrated what a transformed service should look like and what contribution suppliers can make to aid this transformation. The event was well attended with senior representatives from a large number of the Police forces around the country, the Police ICT Company and the National Police Technology Council (NPTC). This provided a unique opportunity for two-way conversations between suppliers and police forces, sharing best practice and exchanging innovative ideas that tied into the Summit key themes. There were updates from senior stakeholders in policing, across Government and industry on ICT Principles, Enabling Programmes, the Digital Policing Portfolio, Home Office Programmes, and more.